First Nicole Scherzinger, now Rihanna? Chris Brown has been getting around in the clubs these past few days, not to mention he has a girlfriend. Chris Brown and his ex Rihanna hooked up at a club in NYC not long after he was seen getting close with Nicole Scherzinger last week. Brown showed up with friend Bow Wow and sat at a separate table from Rihanna, but a source told E! Online that Rihanna knew Chris was going to be at the club. Brown eyed his ex girlfriend and went over to her table to talk. An eye witness caught the two dancing and making out not long after. The "We Found Love" singer left the club about 5 minutes after Brown, but no word if they ended up together the rest of the night. 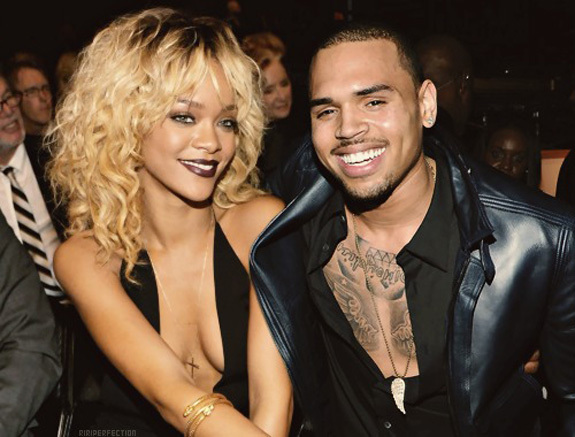 Chris Brown is still on probation for beating Rihanna in 2009.